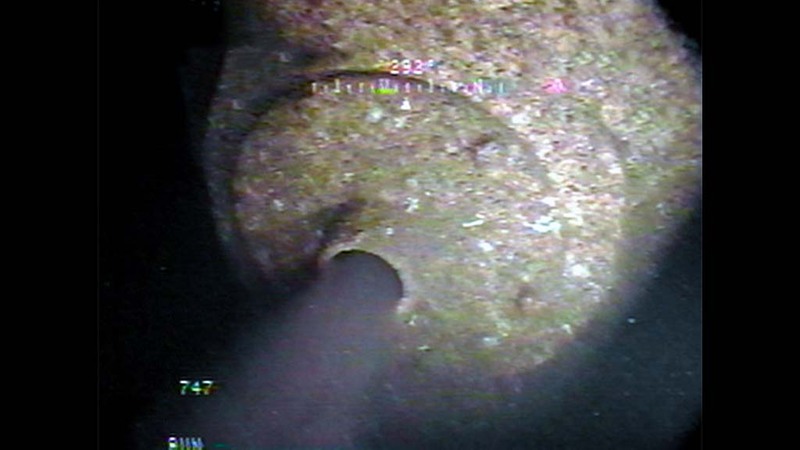 OSI has accomplished various underwater structure inspections employing either diver-held video or ROV equipped with a laser ruler, sediment blaster, cathodic protection probe, and color video. 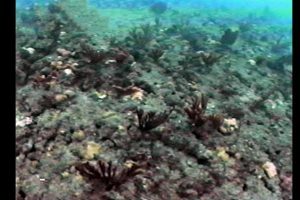 Underwater videography is collected using the ROV’s built-in wide-angle color camera. All video data are recorded and displayed in real-time on a color monitor onboard the survey vessel. 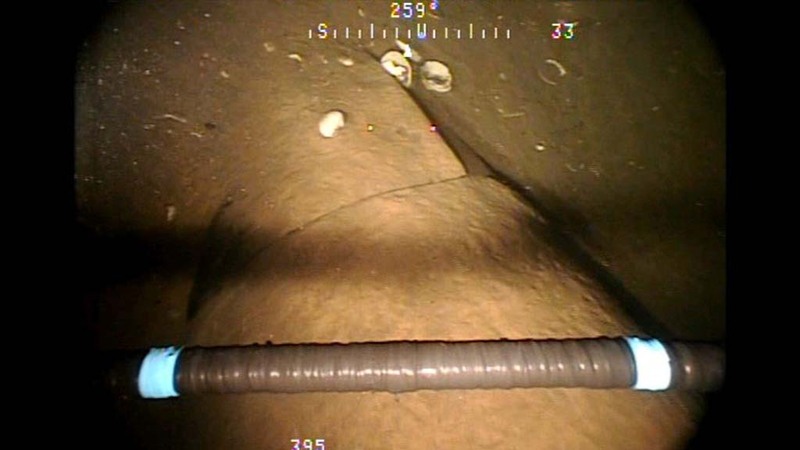 Vehicle position (derived using a USBL) and other various survey statistics are displayed as an overlay to the video allowing correlation with previously acquired site survey data and video trackline time stamps. ROV video frame of a functioning diffuser. 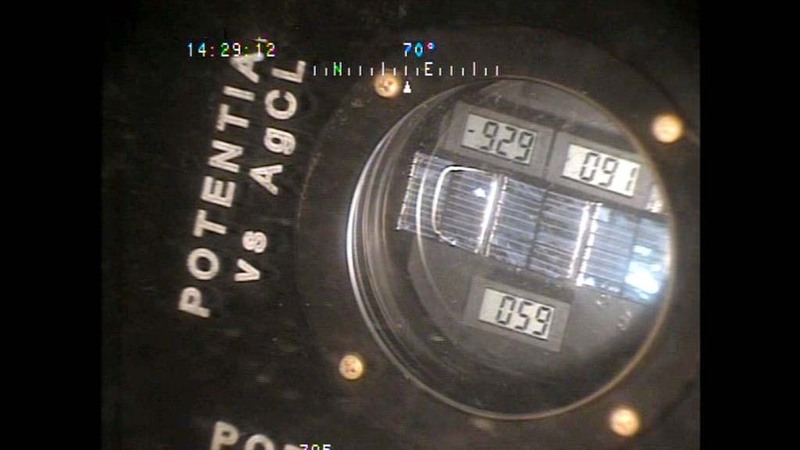 ROV-light-activated cathodic protection gauge on pipeline.